Enterprise drives the development of Hanoi and the city has committed to leading the country in improving the investment and business environment and supporting enterprises, said municipal leaders at a conference in Hanoi yesterday. The Hanoi 2017 – Co-operation, Investment and Development conference attracted more than 1000 delegates, including leaders of the Government, ministries, sectors, and representatives of diplomatic agencies, international organisations and domestic and foreign investors. This year’s conference once again affirmed the city’s commitment to work with enterprises and create the best conditions for businessmen and investors to start up, invest and develop long-term businesses in the capital city. Speaking at the event, Secretary of the municipal Party Committee Hoang Trung Hai affirmed that Hanoi leaders are aware that the key to the city’s development is to side with enterprises, with the private economy a driving force in its economic restructuring. Chairman of the municipal People’s Committee Nguyen Duc Chung said that Hanoi lead in implementing Government instructions and in building a service administration. “Hanoi always welcomes and wants to co-operate with all investors, businesses, associations and localities inside and outside Vietnam,” he said. The satisfaction of enterprises and citizens helps measure the professionalism and efficiency of the city’s administration, he said. He added that Hanoi will prioritize attracting investment projects using new technologies and clean energies, with a focus on satellite urban areas, urban railways, belt roads and car parks. To attract more investors and talent, Prime Minister Nguyen Xuan Phuc urged Hanoi to work to connect businesses and involve residents and both domestic and international enterprises in building the city. The city should also boost administrative reform and build a responsible, trustworthy and effective apparatus through developing the capacity of officials and cadres, he said. Continuing to improve the business and investment environment to earn more trust from investors, businesses and citizens is also necessary, he said. The PM asked Hanoi to improve planning work and develop in line with social infrastructure. Minister of Planning and Investment Nguyen Chi Dung suggested Hanoi remove some State establishments from the centre of the city to reduce pressure on the infrastructure system and create space to develop trade and services and to effectively use land in outskirt areas. 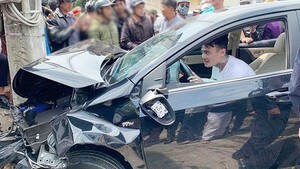 The city should study measures to reduce traffic congestion, particularly policies relating to population and personal vehicle management, he said. Chairman of the Vietnam Chamber of Commerce and Industry (VCCI) Vu Tien Loc said investors want more improvements from the capital city. 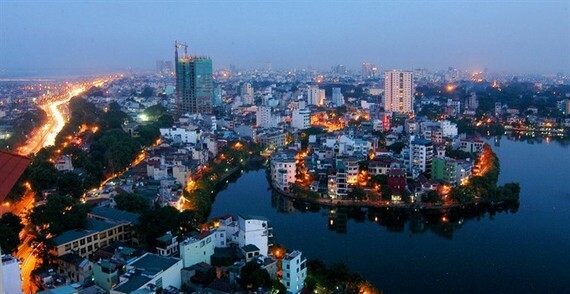 “Hanoi should continue changing investment procedures. Investors still face difficulties in completing investment procedures, particularly those relating to land. More scientific and transparent procedures with policies to support investors when needed should be prioritised in the city’s administrative reform,” he said. The city should also address overloading of urban infrastructure during the investment promotion procedures. A VCCI study revealed that investors of high quality and big projects had high expectations not only about infrastructure and human resources but also about public administrative services and administration quality, Loc said. Chairman of the Hanoi Young Business Association Tran Anh Vuong said Hanoi should be pioneer of the country in start-ups with a focus on human resources training. Participants also discussed how to make Hanoi a smart city with international integration and sustainable development. At the conference, PM Nguyen Xuan Phuc highlighted Hanoi’s efforts to improve its investment-business environment, with the city’s provincial competitiveness index jumping 10 spots, ranking 14th out of 63 provinces and cities – its highest ever ranking, while its index of public administrative reform also climbed six spots. In the year, nearly VND440 trillion (US$19.36 billion) was poured into investment projects in the locality. Hanoi presented decisions approving investment proposals and investment licences for 48 projects with total registered capital of more than VND74 trillion ($3.25 billion) at the conference. The city and investors also signed 15 memoranda of understanding worth nearly VND135 trillion ($5.94 billion).